Though today's ink review for Stained Fingers on Thursday had already gone live, I had another topic on my mind, which I thought might be of interest, if not a bit related. It centers on one of the Nemosine nibs that I received, when I ordered my Nemosine Singularity and extra, different nibs. Changing nibs can often be a slightly messy business, and, after swapping nibs in my Singularity, last night, my fingers certainly were stained. 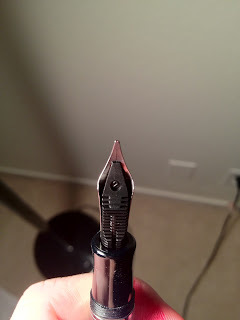 I had been in the process of changing out the medium nib for the 0.6 stub, having just fit the nib and feed back into the section, when I noticed something odd. Looking at the underside of the nib and feed, it appeared, as though something was odd with the nib. 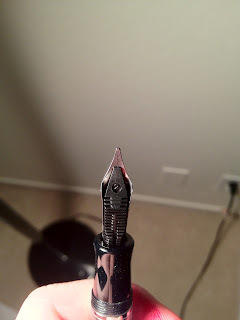 Upon closer inspection, it appeared that (looking at the underside of the nib), the right-hand tine was shorter than the left-hand tine, and the nib slit was not perfectly centered on the nib itself. 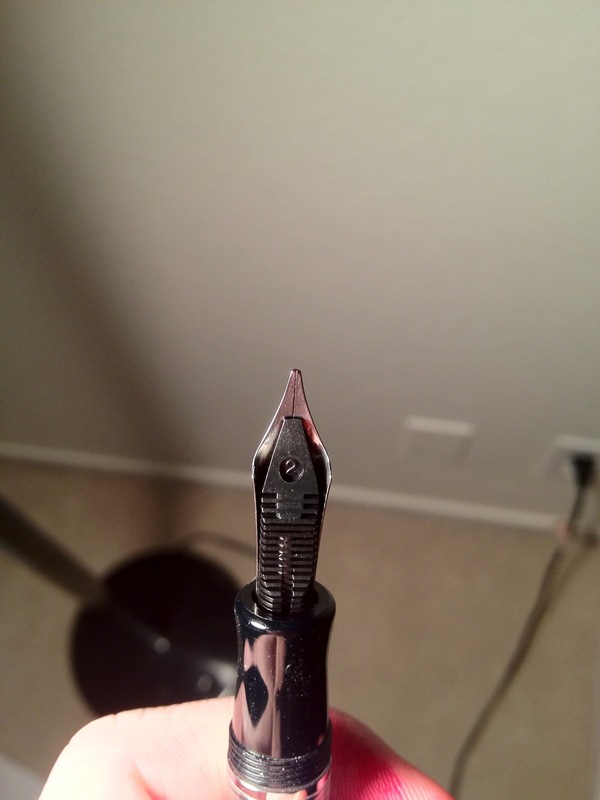 In fact, it almost put a slight angle to the nib tip, reminiscent of a left oblique nib. My next thought was to whether or not this odd cutting of the nib slit was a fluke. I contacted the friendly and helpful folks at xFountainPens.com, who informed me that all of the 0.6 stubs were cut this way (though they did not give a reason). So, for better or for worse, there you have it: The Nemosine 0.6 stubs have a unique aspect to their form. It does not seem to detract from the writing experience; it merely changes it, and I continue to highly recommend this pen and its nibs. Hopefully, these pictures convey my description, well. If you have any questions, please do not hesitate to post them! 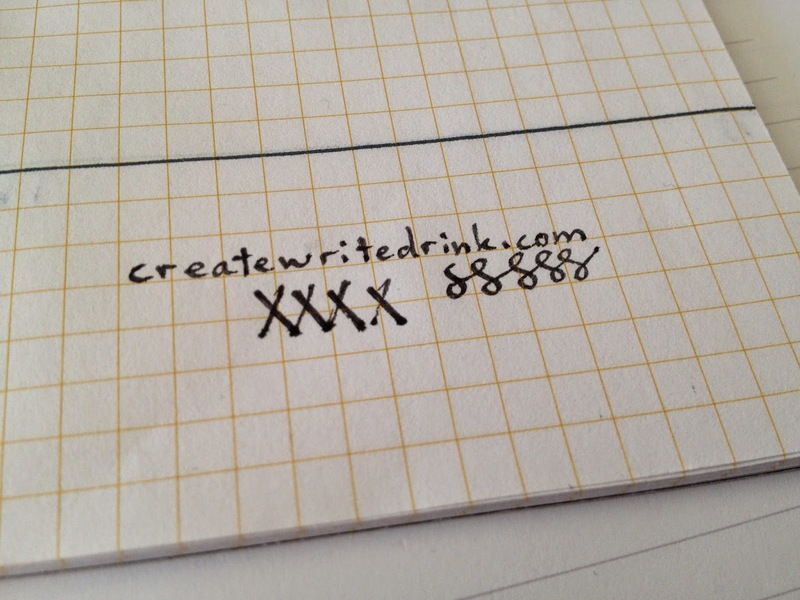 Edit 11/5/2014: Here is a small writing sample with the 0.6 stub, using Organics Studio Carbon on Field Notes grid. stub, cursive italic, to true italic nibs vary wildly. My apologies for how long it took - I have edited the post with a writing sample on Field Notes grid.